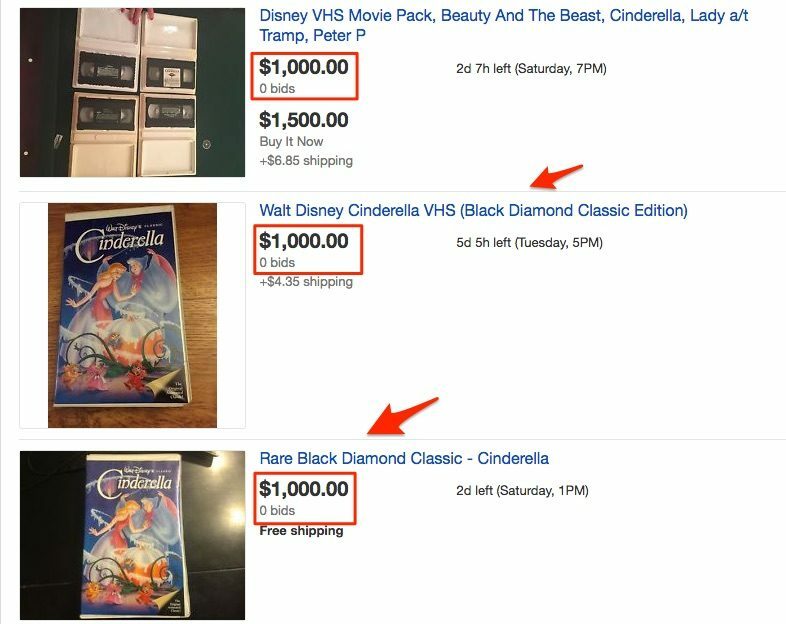 FACT CHECK: Are 'Black Diamond' Disney VHS Tapes Worth Thousands of Dollars? 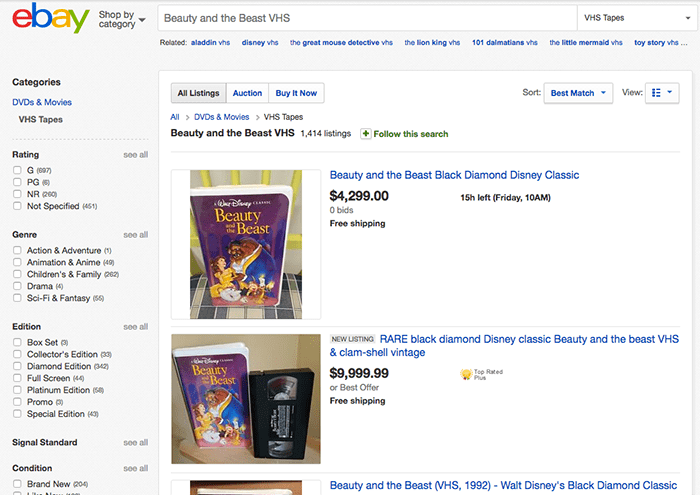 Are ‘Black Diamond’ Disney VHS Tapes Worth Thousands of Dollars? 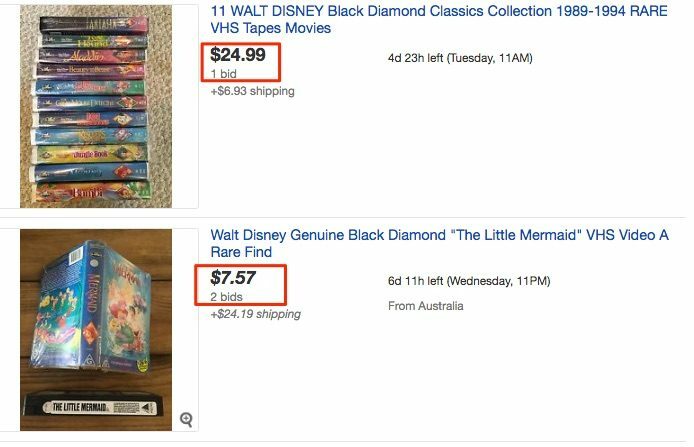 Multiple blogs have claimed that "Black Diamond Collection" Disney films on VHS are worth thousands of dollars, but the tapes are not rare nor selling for nearly that much. "Black Diamond Collection" Disney films on VHS are worth thousands of dollars, particularly "Beauty and the Beast." Are the Disney Black Diamond editions of VHS tapes really as valuable as people are claiming? There are articles circulating about how these vhs tapes are rare and could be worth thousands. I saw posts on eBay with said VHS tapes--astronomical prices. The question is, is anyone actually buying those? Or is it just a scam to get people to waste their time? Or maybe an advertising scam to get people to talk about Disney VHS tapes? Black Diamond Collection Disney VHS tapes are regularly listed at prices in the thousands of dollars on eBay by hopeful sellers. No buyers are bidding anywhere close to those asking prices for the tapes. In late May 2016, several blogs reported that people in possession of “Black Diamond Collection” Disney VHS tapes might have thousands of dollars’ worth of rare materials on their hands. 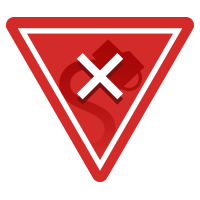 Such blogs made the common mistake of not noting the disparity between what sellers ask for such items and what buyers are actually willing to pay, thus skewing perceptions by considering only the former. According to eBay listings, the 1992 animated film Beauty and the Beast is going for just under $10,000. It’s not because the live-action reboot, starring Emma Watson, is coming out next year. This VHS is selling for so much because it is rare. A modern directorial practice includes the adding, editing, altering, etc… of films from their original theatrical version. 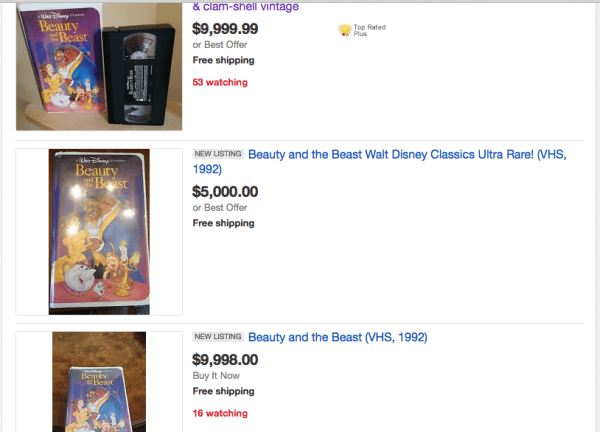 Because of this, those original VHS tapes of Disney classic are worth a pretty penny, (think $1000 minimum!) In addition, these original tapes that include scenes or songs that may have been cut afterword, can be valuable to collectors for various reasons as well! Listings on eBay for an original Beauty and the Beast VHS is currently set at $9,999.99! But the highest that people seemed willing to go for the purportedly rare and valuable tape was again about $25. Given the rumors, it is likely even those bids could be attributed to rumored (not actual) value attached to the item. Disney Black Diamond Collection VHS tapes were often listed for thousands of dollars, but few (if any) actually sold at that price. A July 2015 BuzzFeed article linked to an eBay auction for the Beauty and the Beast tape priced at $500 dollars, but that listing was still active (or unsold) at the time of the June 2016 rumor. A year before that, social media buzzed about a speculated value of $500 for the film, probably because of the aforementioned article. The Black Diamond, found on the spine of the case, denoted Disney’s “Classics” collection. It was included on 18 Disney animated features when they were first released to VHS format between 1988 and 1993. “Aladdin” was the last film to be released with a Black Diamond. But while one eBay user paid $9,000 for a pair of “Beauty and the Beast” Black Diamond tapes – and three others spent at least $250 for a single tape – most copies seemingly sell between $5 and $25. Other popular films, such as “The Little Mermaid” and “Robin Hood,” fall within a similar range. Naturally, sealed tapes tend to go for a little more. [The tapes are n]ot [worth] very much unless you can find the right person. Black Diamond tapes are becoming collectible, but they are not rare. You can find dozens of them in thrift stores, flea markets, and yard sales for $1 or less. 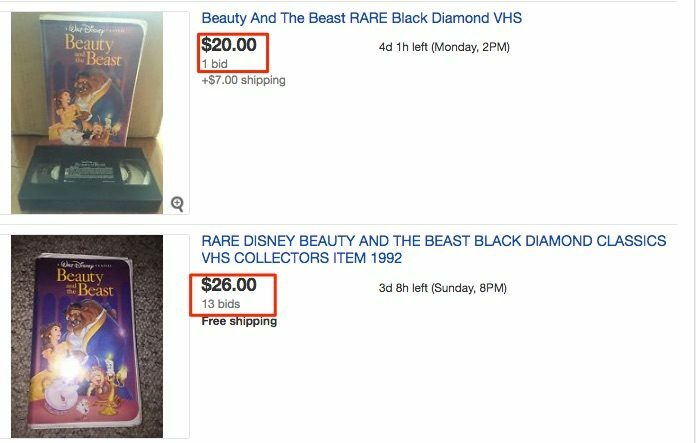 While it is true that a single Black Diamond Collection Beauty and the Beast Disney VHS tape once appears to have sold for $9,000 on eBay, the sale was almost certainly a fluke. Disney Black Diamond Collection VHS tapes are neither rare nor regularly selling for thousands, hundreds, or even tens of dollars. Higher priced listings of the videos on eBay did not attract any active bids. Similar stories abound about Beanie Babies, the toys that were briefly a craze in the 1990s, and now litter sites like Etsy and Ebay. One such account made waves in 2015, when a couple bought a Princess Beanie Baby for a pittance, then claimed that it was worth thousands (it isn’t). Tech Times. 28 May 2016. Philly Voice. 28 May 2016.